Many disadvantages come with being a rightie. You’re vilified by those who own all the bullhorns. Most of the work you do goes unnoticed. You create businesses and commerce–only to be taxed, mocked, or picketed by those who couldn’t build a basement fort out of throw pillows. But another big disadvantage comes around election time–when you find yourself almost constantly defending political leaders you like or support. Because Big media is primarily manned by the three L’s (liberal lockstep lemmings)–they have a bionic set of antennas directed only at Republican errors and mishaps. But…I humbly ask: do we have to make it easier for them? We make it easier when we find ourselves smitten with candidates who don’t see the media-driven disadvantage–and allow themselves to become meaty targets through careless language and behavior. What’s this do to people like you and me? And so you end up speaking for the candidate, when the ideal candidate–the clever, forceful visionary – should be speaking for you. I can’t remember this being a problem for a Democrat (the ones who’ve won). No one had to run around feverishly defending candidate Obama’s endless blunders. This was mainly due to a besotted press who had no interest in questioning this inexperienced mystery man, unless the queries were about family life and/or hobbies. But–dislike him if you must–you still have to admit he rarely put his party in a position to have to EXPLAIN him (that came later–when it didn’t matter: he already won! Twice!). You know you’re in trouble if you have to keep explaining your candidate before he’s even close to being elected. It’s an uphill battle at the start, with the antagonistic media–but why pile more weight onto your burden by championing those who force you to do PR for them? The key for this election is to walk away from those you must always defend. Right now the right is busy chiseling away at themselves–eating away at their middle–which is normal. It’s what we do. We look at a fellow conservative, and think, “well, he’s just a rino, a squishie”–which is a needy reflex to embolden one’s own conservative bona fides. It’s harmful in that it saps energy that could be better used to win an actual national election. No one wins the White House calling your allies names. Instead you unify behind the surest bet you can find. For once, let’s devote energy to one question: what candidate requires the least amount of time defending? So you can bash Bush on common core, Rubio on amnesty, Christie on the hurricane hug, Perry on his disastrous 2012 run, Cruz on his stunts, Trump on his Trumpisms, but why not instead focus on the likely winner among the bunch? No Republican candidate ticks every box. That’s impossible. So instead of seeking a savior who will “take back America!” it’s better to ponder how to get the average Yank to switch from voting D, to voting R. It’s a baby step, but the most important one. Figure out how to do that out first, then you can mold the winner into the savior you want. If you’re reading this column on Breitbart, chances are you’re more into politics than most Americans. Right now, to millions of American’s, 2016 is just someone’s PIN. There aren’t enough Americans to vote in the flame thrower you love. But there are more than enough Americans who would vote for a Republican that they are comfortable with–especially after eight years of arrogant ambivalence, division, and distrust. They wouldn’t mind unifying behind a likeable, assertive, well spoken, alternative to HRC. Who is that person? I’d ask the RNC, but clearly they don’t know. They saw this election coming: a classroom of candidates vs. a pre-ordained name in Hillary–and did little to prepare. They knew Hillary was the shoe-in–and they didn’t bother to recruit the right response. So now we have 14 candidates–the sheer number making Hillary loom larger. Because she represents a unified front, her Republican opposition resembles a cacophony of similar sounding gremlins. Sooner, rather than later, the party should settle on a candidate or two who doesn’t exhaust your excuses–but instead explains things better than you ever could. We’ve seen that guy before. It’s possible to see that guy–or gal–again. 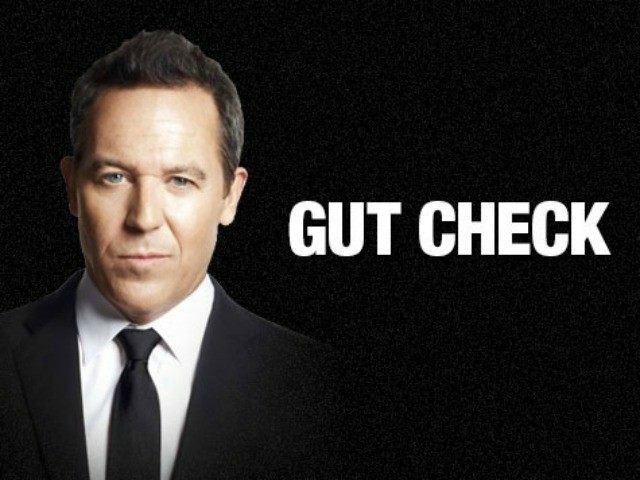 Greg Gutfeld is a mainstay on Fox News as co-host of The Five and host of The Greg Gutfeld Show. He’s also the NY Times best-selling author of Not Cool and The Joy of Hate: How to Triumph over Whiners in the Age of Phony Outrage. For more from Greg check out hisofficial site or follow him on Twitter.